To kick off today’s show, we jump into the tech calendar. Paige Donnelly from the Shangri La Center for Islamic Arts and Cultures joins us to tell us about the TAP (Technology Art Politics) Wikipedia-edit-a-thon. After that, Joe Karlsson from DevLeague tells us about an upcoming hackathon called Stupid… Stuff Nobody Needs. Then, after the break, we go back to the watershed well and dive deeper into how submarine groundwater affects marine life and coastal ecosystems. 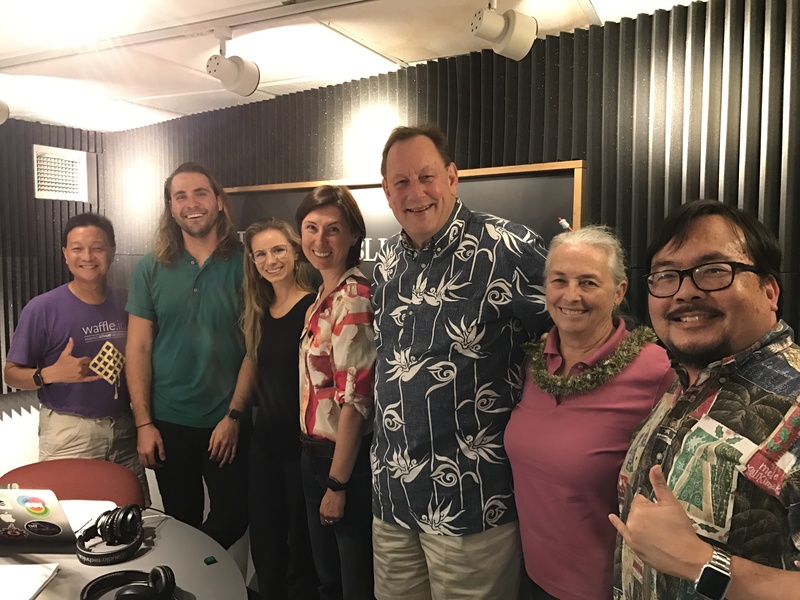 We talk with Craig Glenn, Henrietta Dulai, and Celia Smith from the University of Hawaii.